The newly renovated Lettermen's Club and Press Box at War Memorial Stadium can be utilized for many types of events including game watch parties, receptions, corporate events, wedding receptions, rehearsal dinners, meetings, and family gatherings. The rooms can be configured for a reception, sit down dinner, or can be set up to meet the needs of your event. The Stadium has more than enough parking conveniently located on the west side of the stadium for easy access in and out of the rooms. War Memorial Stadium has a full catering menu featuring banquet foods, appetizers, sandwiches, barbecue, and stadium foods. Host your next event where history lives. 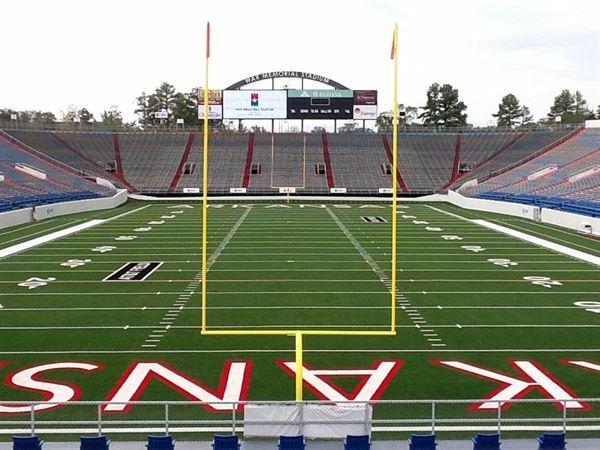 War Memorial Stadium was originally built as a tribute to Arkansans who had given their lives in the service of their country during the two great World Wars. Emily Martin and her staff at War Memorial Stadium Operations/Concessions were phenomenal in meeting our needs for our nephew and new niece's post wedding reception! The party was held in the press box, suite level 2. We received lots of compliments on the food and the venue. All the guests had a wonderful time. Thus, Emily and her staff helped us to achieve our objective with this special event!